Vue – Clean, Minimal eCommerce PSD Template. 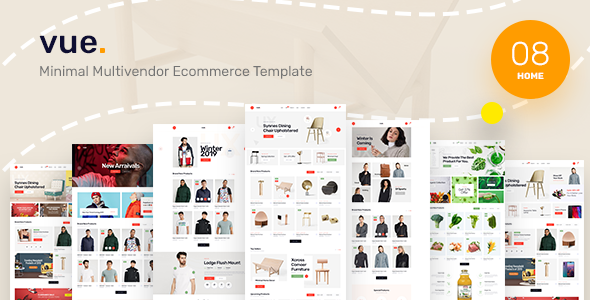 Vue – Clean, Minimal eCommerce PSD Template for multipurpose (Fashion, apparel, sunglasses, accessories, mega store, watch, cosmetic, clothes, bag, bag store, cosmetic, fashion template, Multipurpose template, watch store). Furthermore, the PSD file is designed on grid and can be easily conversion into responsive HTML, Wordpress, Magento, Woocommerce, Opencart, Shopify, Drupal, Joomla and other systems.. There is no doubt that Vue will make your work look more impressive and attractive to viewers.